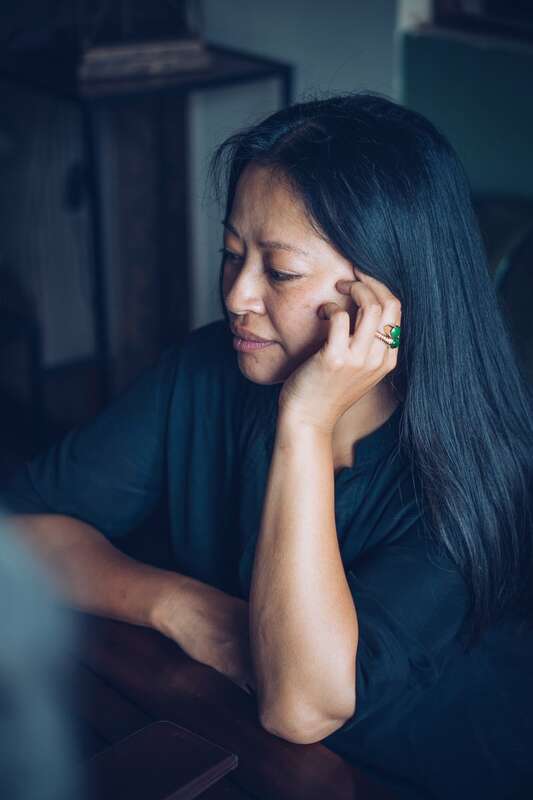 Chef Anh Le recently spoke out about the refugee crisis in Europe. It’s a subject she understands deeply having left Vietnam in 1979 on a boat driven by her father loaded with 1,000 people. Since then she’s lived in the States, France, and Vietnam, as well as Denmark. She’s been a fast-food cook in her parent’s first Danish business venture—a grill restaurant in the northern city of Aalborg where her family initially resettled. 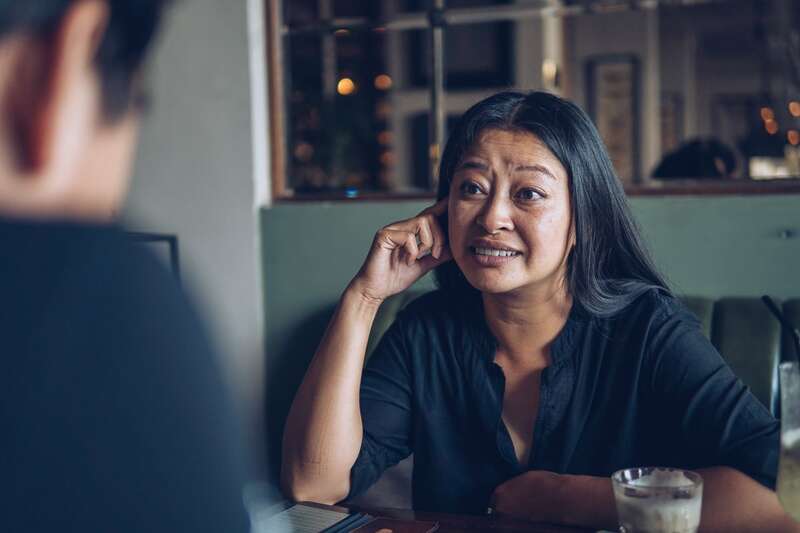 The experience made her promise never to work in a restaurant again. Instead, she worked as a flight attendant for Swiss Air out of Geneva, but struggled to reconcile her feminist ideals with life in the male-dominated industry. Reconnecting with Vietnam and the flavors of Vietnamese food in ‘95 during a two-year stay made her reconsider her decision never to open a restaurant. It was the Danish-Vietnamese conceptual artist, Phuc Van Dang, who we profiled earlier this year, that helped connect us to Chef Anh Le. 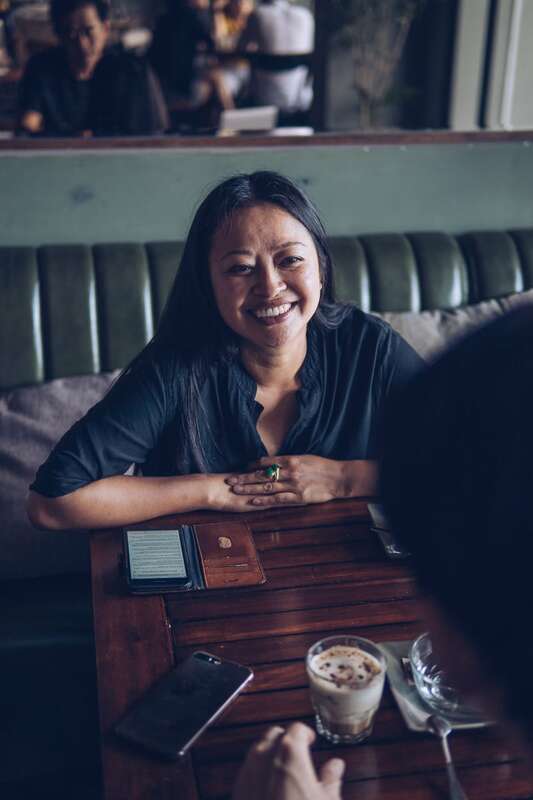 In recent Munchies and Channel News Asia features she’s has been crowned “The Queen of Nordic Vietnamese Cuisine.” So we sent Chef Anh Le a few questions to understand her ascent to foodie royalty, and how she became Denmark’s fish sauce feminist. Then we reconnected in person on her June visit to Ho Chi Minh City to record the “Croque Monsieur” show for Danish national radio with co-host and DJ Master Fatman. If you had to introduce LeLe to someone who only has time to eat one or two dishes, what would you serve them and why? I would choose our summer rolls and our bun bo Hue. I’m choosing the summer rolls because of their delicate taste, the profusion of Vietnamese herbs that they come with—that’s typical of Vietnamese food—their texture that combines softness with crunchiness, and the overall balance of flavors. I’m also choosing our bun bo Hue because it’s a good example of how Vietnamese food is made “spicy” but you can still taste other flavors like lemongrass and shrimp paste. I find this kind of noodle soup to be heavenly. There are umami flavors, lots of spiciness, as well as many other surprises for the tongue—and the stomach. What’s the most satisfying thing a LeLe customer has ever said? And what’s the most frustrating thing you’ve heard? There was one customer who told me that he was so grateful for introducing both himself, but also many people in Denmark, to Vietnamese food and flavors. I knew then that my mission to teach the Danes to eat food from Vietnam was complete. One of the most frustrating things I have to deal with is when people assume both Asian and Vietnamese cuisine has to be cheap. In Denmark, that’s impossible. The preparation times, the use of fresh ingredients, and the other overheads necessary to run a restaurant here mean that producing quality food comes with a high price. What would chef Anh Le who first opened Restaurant LeLe in 2003, talk to the Anh Le of today about? What would the most important piece of advice be? I’d remind her not to work so hard. It’s important to enjoy our youth. Sometimes, I think, we forget to recognize what we already have and be satisfied by that. If we flipped your business model, and we had you open a Danish restaurant in Saigon, what would you serve? I would serve Danish open sandwiches, which are called smorrebrod. I think they are unique to Denmark, and they reveal the Danes’ love of design—even in the food they make, visual appeal is as important as the flavors. The restaurant would also be a space where you could disconnect from the people and the noise on the streets outside with lots of timeless, vintage elements. Vietnamese life, even in the countryside, often omits opportunities for people to find personal space. I think many people, once introduced to it, would love this atmosphere. 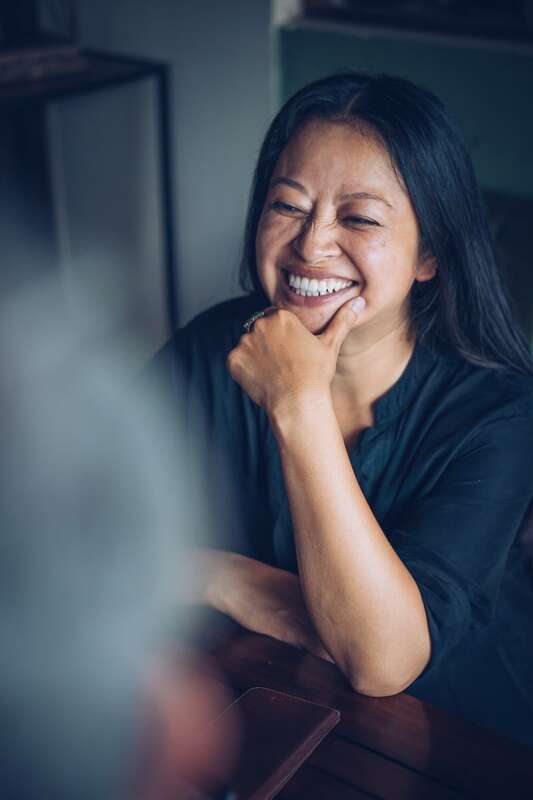 “The restaurant industry, especially at the gourmet level, is male-dominated despite Scandinavian countries embracing feminist ideals,” Anh Le explains. What elements of Danish culture—besides food—would you introduce to Vietnam? And what could Denmark take from Vietnam to make it better? I love the way the Danes raise their children as individuals. There, children’s words carry as much weight as their parent’s. Children are also allowed time to develop naturally, at their own tempo, and not at a pace dictated by family members or nannies. I remember from my childhood in Vietnam that adults, or even people just a few years older, have automatic rights over you. That kind of hierarchical society doesn’t suit me well. For their part, I think the Danes are already embracing street life more, like in Vietnam. And it’s helping people to be more relaxed and less uptight. With celebrated Danish restaurants like Noma and Geranium all run by male head chefs, how rare is it to find a female restaurateur in Denmark? The restaurant industry, especially at the gourmet level, is male-dominated despite Scandinavian countries embracing feminist ideals. So, every time anyone wants to interview a female chef I’m often the one they turn to. I’m also the only Asian-Vietnamese female on TV. There aren’t any others—so three times a month on national morning television I teach the Danes how to eat Vietnamese food. You’ve expressed deep feelings about the plight of refugees, and about women’s position in the workplace, particularly in the airline industry. If you became a politician, what would be your main policies? I would want countries to take in more refugees. But not only that, I would also like them to give the people they take in the chance to help develop society hand-in-hand with the local people. I feel that refugees have so much to offer if they are given opportunities. I’m a strong feminist. In general, I also feel there should be more female leaders in the world. If that means having a quota in which power is shared equally 50-50 then let it be. Every second month, at Restaurant LeLe, I host an evening where influential female figures in Denmark share stories. What do you think of airline food? If an airline hired you to produce their meals, what would you do to make them great? The food served on airplanes is pretty middle-of-the-road. And the taste isn’t great. But then, I feel our sense of taste is diminished during flights—some reports say by as much as 50%. Naturally, if I had the chance, I’d make Vietnamese food. Dishes with lots of fish sauce, vegetables, and herbs, like a papaya salad with dried beef, or a bo kho, or caramelized pork—thit kho. You’ve said there’s a place for fast food in a country’s cuisine. If you made your own fast food chain, what would you serve? There’s always a place for different kinds of food! In modern life, we’re constantly on the move. That means there’s an increasing demand for healthy fast food; people don’t really cook at home anymore. I think the Vietnamese have always embraced the concept of healthy fast food—even street food is often cooked from scratch by its vendor. We already incorporate this concept into the menu of our seven LeLe Street Kitchens. In the section marked “homemade fast food” we have bun thit bo, noodle soup, curry, fried spring rolls, summer rolls, and more. I’ve helped develop a system that allows us to cook and serve it quickly, although lots of pre-preparation is required in our production kitchen before we send it out to our street kitchens. You work closely with your three other siblings. And you’ve described yourselves as like a table with four legs. How else would you describe yourselves? What’s the secret to effectively running a family business? If we’re not a table with four legs, then I’d say my brothers and I are peas in a peapod. We’ll stick to each other forever. We find our balance during our time away from work when we try to avoid scheduling a family dinner—unless our mom is cooking up a feast. Truthfully, there is no secret to working together successfully. It’s about taking the time to understand each other and learning from your mistakes. Respect is important too. We have to trust each other and respect each other’s decisions. In fact, that’s true when working with anybody—without respect teamwork is impossible. I admire the Vietnamese TV host Thuy Minh very much. She’s originally from Hanoi but she’s based in Ho Chi Minh City. She’s a part of a younger generation that are mixing European ideas with Vietnamese traditions. They’re the ones helping to shape the Vietnam of today.